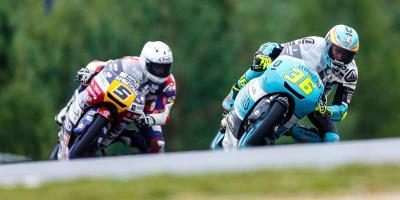 Joan Mir (Leopard Racing) is ahead in the standings and was ahead of the field on Friday at the Czech GP, with the Majorcan pulling clear in the final minutes of FP2 on a drying track. 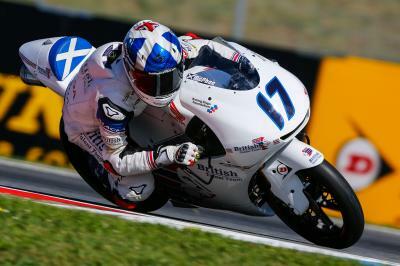 He went quickest by four tenths from title rival Aron Canet (Estrella Galicia 0,0), with Malaysian Adam Norrodin (SIC Racing Team) completing the top three. Weather was wet throughout the day for Moto3™ but FP2 did start to see a marked improvement towards the end of the session, with dry parts of track appearing. Andrea Migno (Sky Racing Team VR46) was one who made the most of that to go fourth quickest on combined times, ahead of an impressive showing from Manuel Pagialini (CIP). Tim Georgi (Freudenberg Racing Team) was the headline of the day, however. The German wildcard was unstoppably dominant in a wet FP1 – two seconds clear for much of the session – and put in another great performance in the afternoon despite a crash. 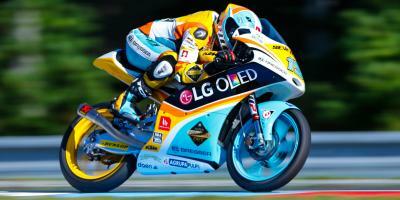 The German was fastest in the session once again when he went down, and remained fifth on the combined standings. 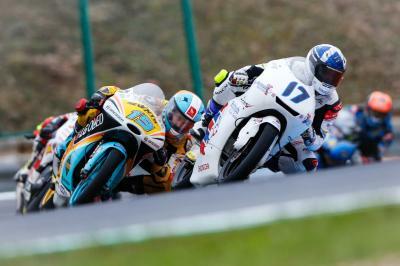 Tony Arbolino (SIC58 Squadra Corse) was impressive in seventh to edge compatriot Nicolo Bulega (Sky Racing Team VR46), with Albert Arenas (Aspar Mahindra Moto3) and Tatsuki Suzuki (SIC58 Squadra Corse) locking out the top ten. 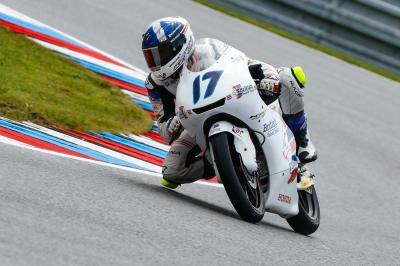 Lorenzo Dalla Porta (Aspar Mahindra Moto3), Bo Bendsneyder (Red Bull KTM Ajo), Juanfran Guevara (RBA BOE Racing Team), Livio Loi (Leopard Racing) and John McPhee (British Talent Team) completed the fastest fifteen on Friday. 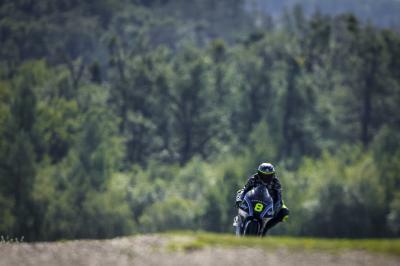 Qualifying for the lightweight class starts at 12:35 (GMT +2) on Saturday. For full results, click here! Check out the session in full with VideoPass and watch everything across the #CzechGP live or OnDemand - as well as an incredible range of extra features! The second Free Practice session of the weekend in the Moto3™ World Championship at the #CzechGP.